Christmas is a time of year when family and friends gather together for a time to share love and happiness. Christian Life Center wanted to make sure families were able to experience joy by providing Christmas food baskets and toys for those in need. Thank you to all of our partners and volunteers for making this holiday season a successful and joyous occasion. Praise the Lord! We received a call from our long time partner, Food Recovery Network, to pick up a surplus of fresh produce, milk, cheese, and bread from the University of Maryland dining halls before they closed campus for winter break. This recovery was more than 5,000 pounds of food. Later in the evening, we received around 50 winter coats from First Baptist of Glenarden Empowerment Center! 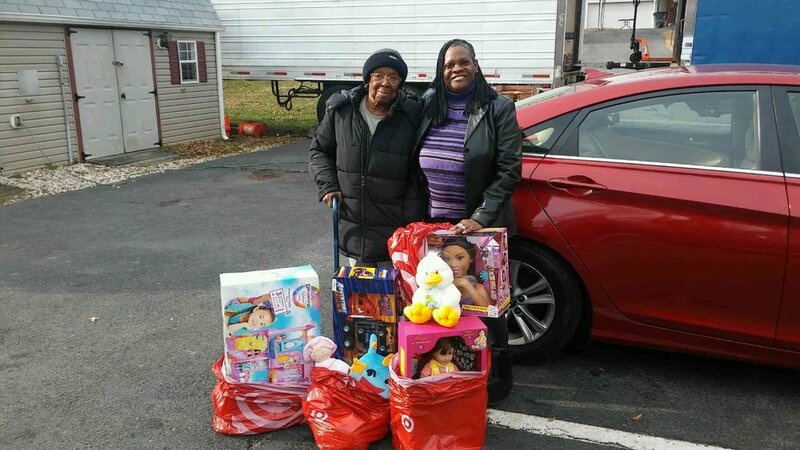 We received an awesome toy donation from First Baptist Church of Glenarden Empowerment Center and Just Us, which included more than 200 toys for boys and girls. We were able to bless over 40 families with toys for their children on Christmas morning. Today's goal was to pickup and organize all of the donated canned goods, potatoes, fresh apples, and loaves of bread for our Christmas Basket Giveaway. 60 baskets plus frozen turkeys and chickens were given from the Prince George’s County Police Department and Sheriff’s Office. With an early start time of 9 am, more than 80 families were lined up ready to receive their Christmas Gift Box. Each gift box included fresh produce, bread, cookies, and a turkey! Everyone showed so much enthusiasm and appreciation after receiving a great meal for Christmas Day. Thank you to all of our incredible volunteers and partners, God is GREAT!